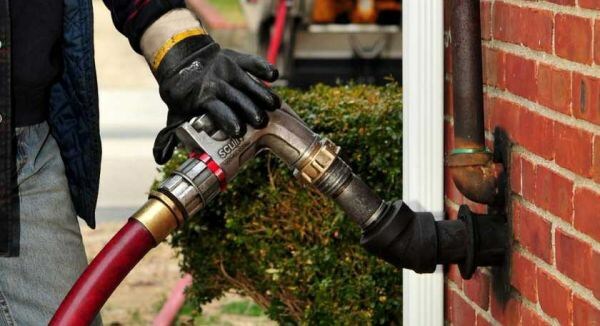 The Eastern Fuel Corporation has been providing home heating oil to Connecticut homeowners in Hamden, Cheshire, North Haven, Wallingford and the surrounding areas of New Haven since 1890. Our Automatic Home Heating Oil Delivery Service ensures that Connecticut homeowners will never have to worry about their furnaces and oil heaters running out of heating oil in the middle of a long New England winter. To ensure that your home receives high quality fuel, we deliver premium-ultra low sulfur heating oil that contains a state-of-the art additive package. This Package includes a fuel enhancer that maintains high fuel quality to increase efficiency, a detergent that cleans your fuel delivery system and a corrosion inhibitor that protects your storage tank. Eastern Fuel has been providing home heating oil to Connecticut homeowners in the surrounding areas of New Haven since 1890. Our Automatic Home Heating Oil Delivery Service ensures that Connecticut homeowners will never have to worry about their furnaces and oil heaters running out of heating oil in the middle of a long New England winter. Eastern Fuel has multiple options, to customize a payment method that will accommodate each customer’s individual needs and preference.